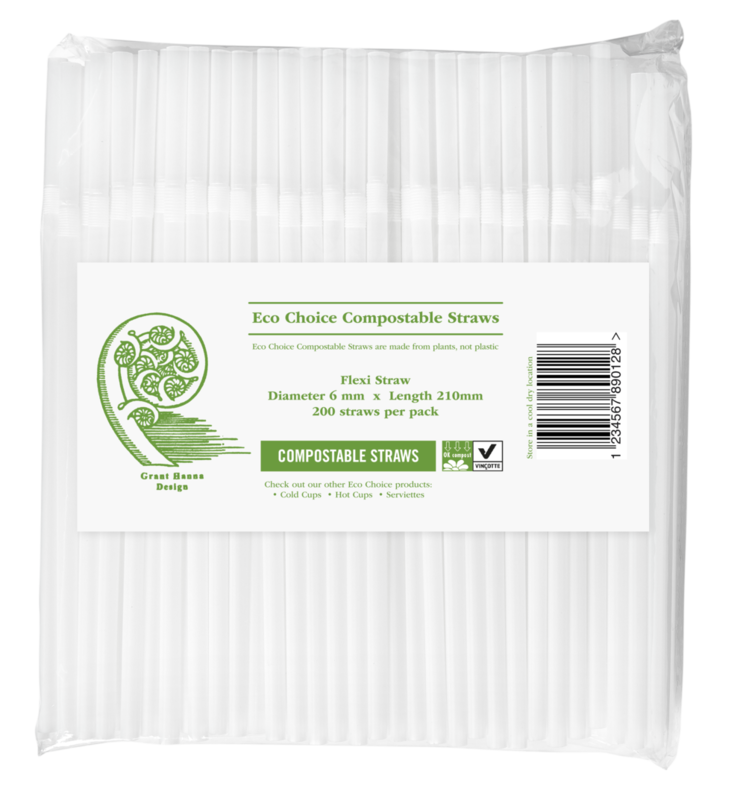 All straws are OK Compostable and Vicontte certified. They are made from polyactic acid which is made from corn starch and other plant based material. PLA material is made from renewable resources and is compostable*. 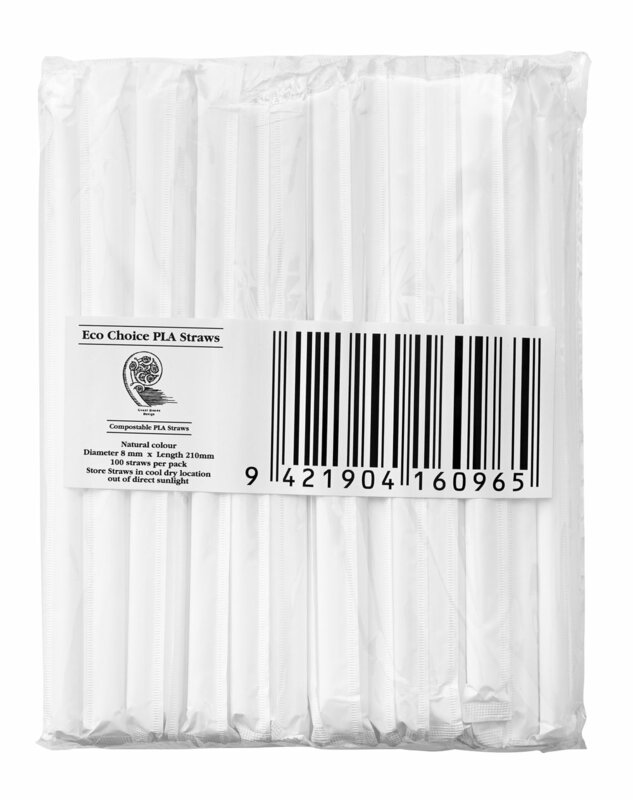 PLA products biodegradable within 3-6 months in an industrial composting system. Transparent - 8mm x 210mm (UV) outer. 25 bags of 100 pieces per carton. 50 bags of 100 pieces per carton. Transparent - 6mm x 210mm. 25 bags of 200 pieces per carton. Transparent - 10mm x 210mm. 20 bags of 50 pieces per carton. Transparent - 4mm x 150mm. 20 bags of 250 pieces per carton. Black paper - 6mm x 140mm. Black paper - 6mm x 197mm.